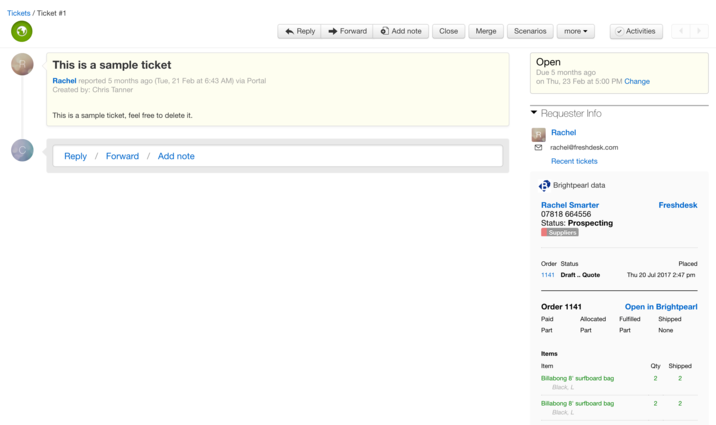 Show Brightpearl contact and order information in Freshdesk. Help your support agents by providing more information at their fingertips. Using the contact email address, this app will show customer or supplier information, as well as orders, whenever you are looking at a ticket or a contact in Freshdesk. Install the Freshdesk app in your Brightpearl app store, and then sign up for an account at https://www.annex-freshdesk.com. Once you've done that, you'll see the Freshdesk app showing contact and order information.